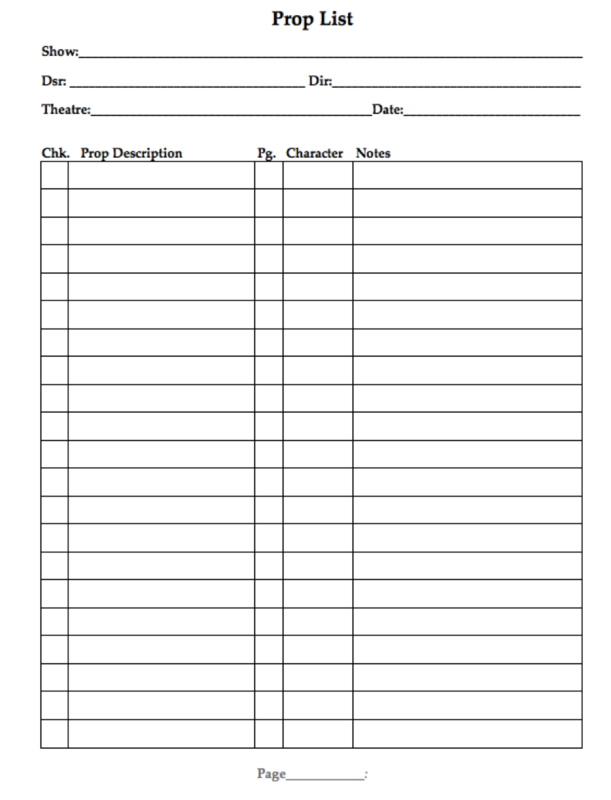 This should filled in with pencil for the initial, working prop list, but for the final binder please type it and print. For all props that are specifically mentioned in the script please use bold font. You can make your own format using a table or a spreadsheet.